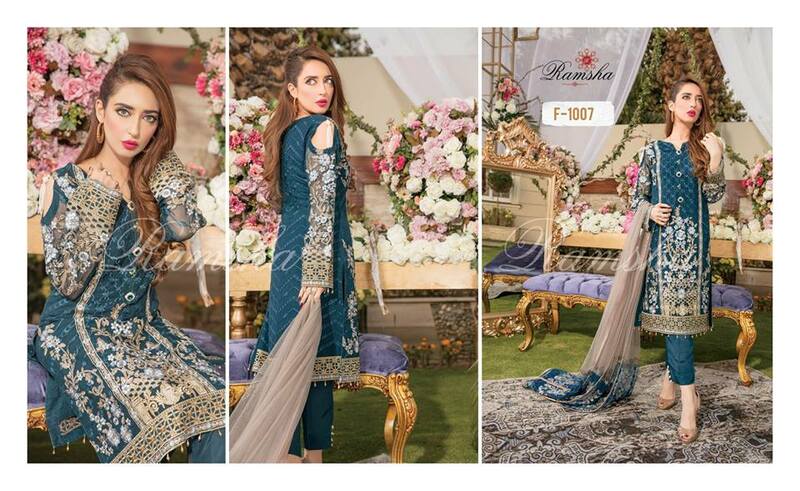 Ethniment Chiffon Collection 2018 presenting by Ramsha, Ramsha is well growing party wear clothing brand based of Lahore, but now days its become a famous party wear clothing brand across Pakistan due to his creative designs that’s inspire you, or outstanding fabric quality. Wearing the perfect outfits with the perfect style is every woman’s desire. So add some sophistication and elegance to your wardrobe. 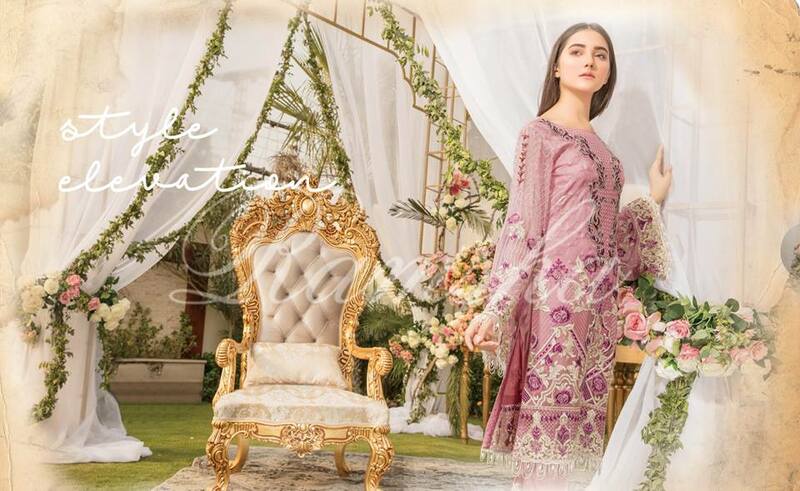 Ramsha’s latest collection brings the best a woman can get, trendy and stylish apparels. Ramsha is a fastest growing party wear clothing brand in Pakistan or also presenting stunning party wear clothing in adorable trends. This summer Ramsha again introducing wide range of chic partywear dresses with latest cut and style, The collection embellish with sophisticated embroidery pattern in unique way of style. 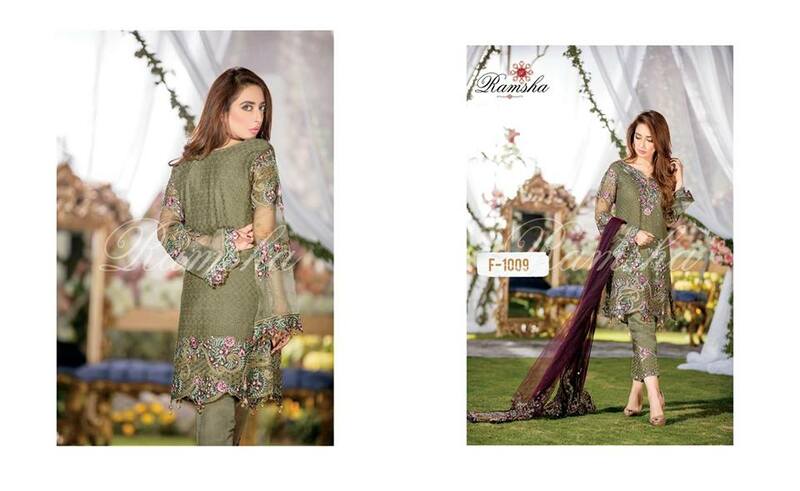 Ethniment Chiffon Collection 2018 by Ramsha consisting of 3pcs embroidered casual dresses, have embroidered Shirt with stunning floral prints with embroidered dupatta and dyed trouser with embroidered patches. 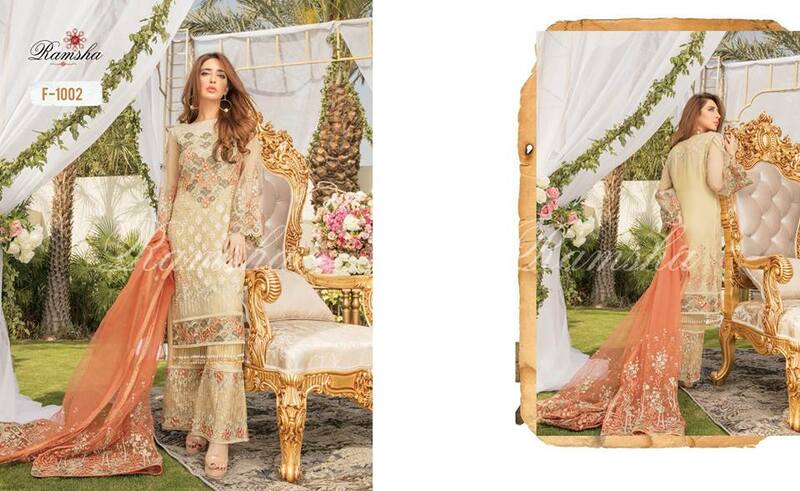 So here Pk Vogue bring very first look of Ramsha Ethniment Chiffon Collection 2018 so look below or select you next party wear attires for 2018. 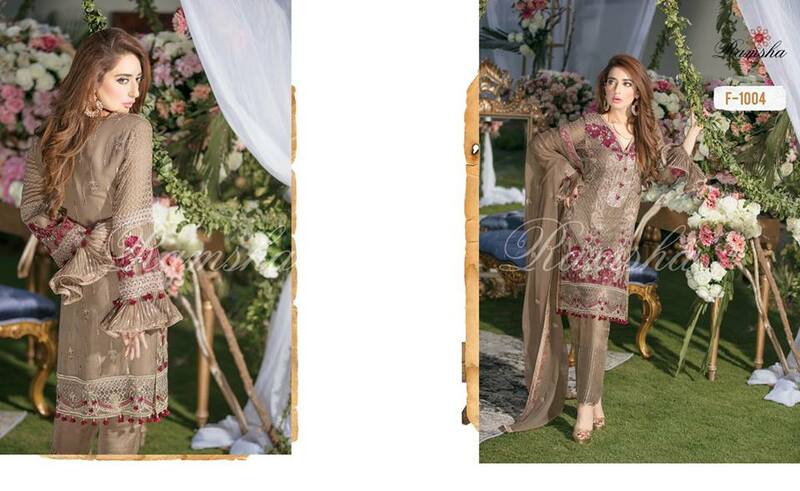 Ramsha Ethniment Chiffon Collection 2018 now available at PK VOGUE Online store you can buy this collection online at Best price. We also provide custom stitching for all clothing brands or our well experienced tailor make your attire as you want. 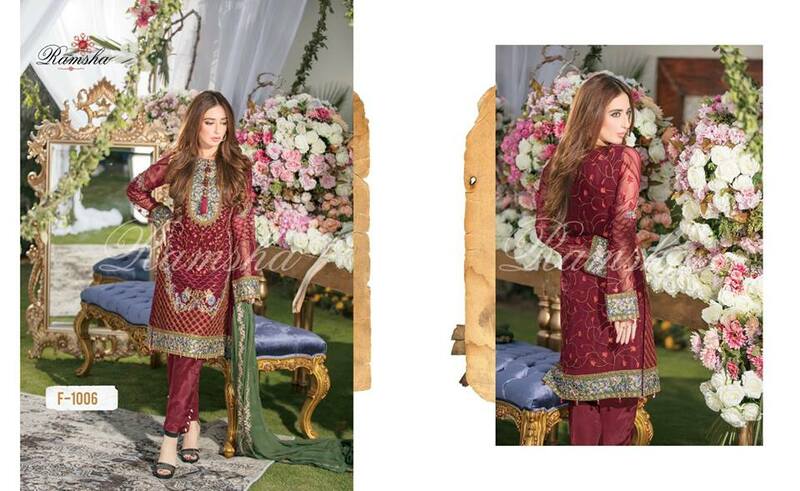 *Stitched dress including lining and all major accessories you can see in pictures as model wearing.